The School of Historical Dress has announced, "Structuring Fashion – Foundation Garments through History," a two day conference taking place in Munich this September 13th & 14th. You might know about the anatomy of a corset itself, but if you've ever wondered what tools and equipment are needed to create one, this is the post for you! Do You Have to Wear a Corset Liner? It's corset 101: wearing a liner to keep your corset from directly touching your skin is a must! Or is it? I previously wrote quite a bit about how a mockup fitting fits in (no pun intended) to the process of custom corsetry. Let's take a closer look at the mockup itself: how it differs from and informs the finished corset. When talking about "custom" corsets, a mockup is the difference between regular made to measure service and fully bespoke. A mockup (also called a toile) is a prototype used to test the fit of a corset or other garment. So what specifically does the mockup do for you? Made to measure is often used as a catch-all phrase to describe custom-made corsetry. But what's really included in the process? And perhaps most importantly, what's left out? This blog is a passion project, but with your help, it could be more. Check out my Patreon page and if you've ever found my articles helpful, please support me! Patronage starts at $1/month – if that's beyond your means, please share the link. With corsets once again spiking in popularity, there are more options for buying a corset than ever. Factory made, off-the-rack options have gotten a lot better in recent years – so why are people still buying corsets handmade by individual artisan makers? A lot of reasons, actually! Have you ever heard corsets dismissed as anti-feminist? There's a lot that can be said about corsets and feminism, but today I want to focus on femmephobia! In case you're not familiar with the term, femmephobia is fear, dismissal, mistrust, and even hatred of things perceived as feminine. Corsets are often assumed to be anti-feminist, but is that really the case? Can corsets actually be considered... feminist? First, let me say that I don't think there's anything inherently wrong with "backfat," which is totally natural and common across size and age demographics. That said, it sure can be annoying and sometimes uncomfortable to have the line of your corset disrupted by a roll around your shoulderblades. On Saturday, October 15th, I'll be happily hosting a lacing workshop at Dark Garden in San Francisco. Every now and then, I stumble on a piece of lingerie or clothing that is truly special. It's the trifecta of remarkable style, quality construction, and superb fit that does it for me. One of my favorite such pieces is my Made By Niki "String" Skirt, which became an instant favorite for me. I don't take much stock in "rules" for corsets. (They're more what you'd call guidelines, really.) However, there is one super important rule that should always be heeded: Listen to your body. 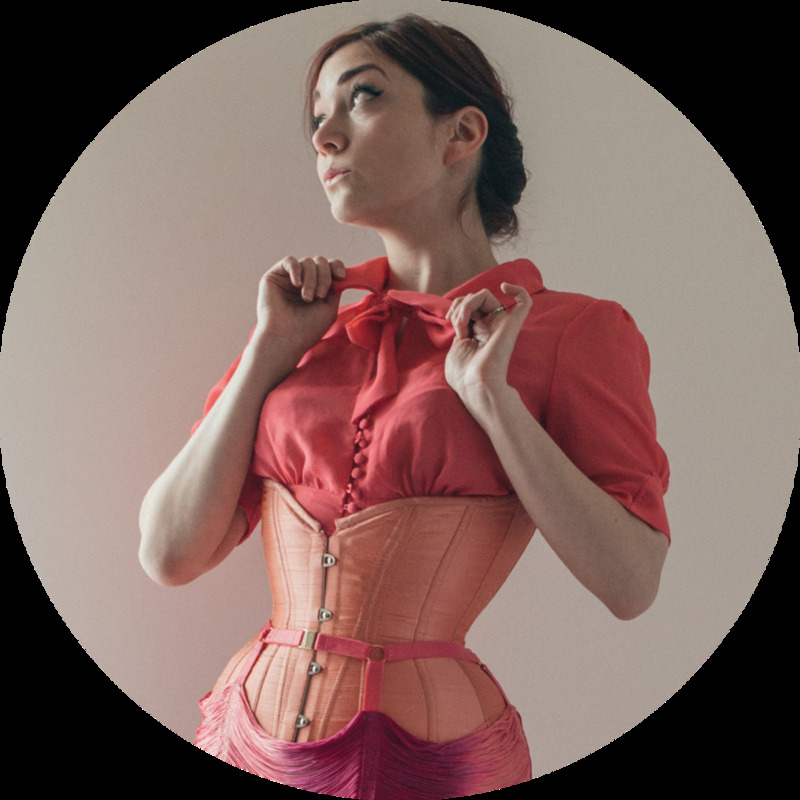 Today I'll be recapping the highlights from my corset care series on The Lingerie Addict. Here are some bite size quick facts to help you prolong the life of your corset and minimize repairs. It's my goal to foster an inclusive space here at The Daily Waist – regardless of your gender identity, age, size, race, sexual orientation, and so forth. One of the questions I am most frequently asked is, "Do you need someone else to lace you into your corset?" Actually, it's often phrased as a statement, as if I surely must have a lady's maid, attending to my dressing on a daily basis! But, no, I put my corsets on myself. I actually only trust a couple people to lace me in. Are you interested in contributing images, writing a guest post or submitting a product for review? Please shoot me an email to discuss!